Adam Wainwright in most interested in day-to-day improvement. 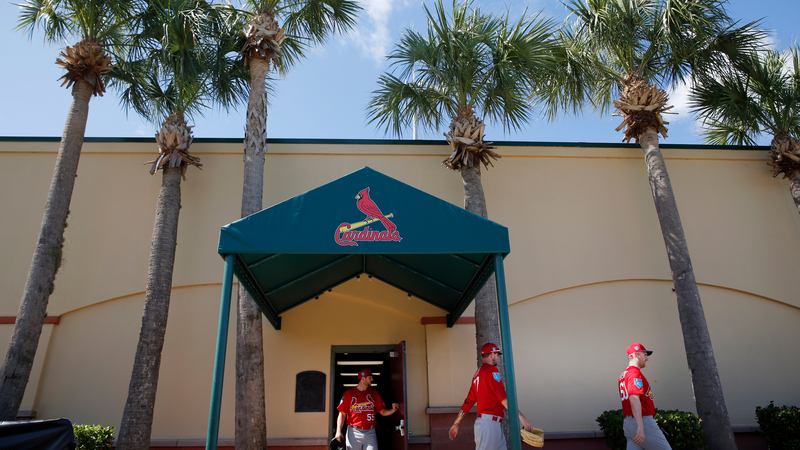 JUPITER, Fla. — St. Louis pitcher Adam Wainwright says he isn’t thinking about retirement. He also isn’t pondering a contract extension. Those thoughts, he insists, will come at another time. A playful Wainwright called the media together outside the Cardinals‘ clubhouse Thursday morning to talk about what he didn’t want to talk about: his future after this season and his potential retirement. Wainwright, 36, is entering the final year of a five-year contract. The three-time All-Star and one-time ace of the Cardinals — the only major league team he’s ever pitched for — owns 146 wins in his 12-year career. But he hasn’t won more than 13 games since winning 20 in 2014. He acknowledged letting thoughts about his future creep into his head last season. Despite fighting both mental and physical battles, Wainwright still tied for the Cardinals’ lead with 12 victories. A couple of times during his impromptu press conference, Wainwright returned to the idea of not wanting to be perceived as, or to perform like, a mediocre pitcher. Not long afterward, Wainwright took the mound for his first official bullpen session of the spring. Manager Mike Matheny endorsed Wainwright’s live-in-the-now approach. It is clear Wainwright still believes he belongs on the mound. At one point Thursday morning, he did chart a personal course for the season. In an effort to ensure that success, Wainwright arrived at camp nearly 25 pounds lighter than he did one year ago. He hadn’t come to camp weighing as little as his current 225 pounds in at least five seasons. 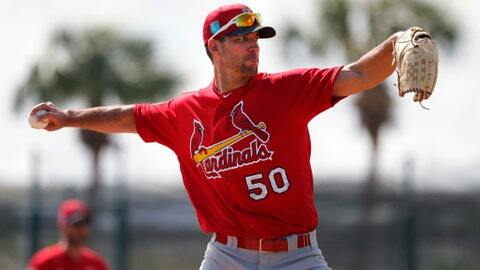 Fighting the added weight, Wainwright’s hips flew open too early in his delivery, leading to back soreness and eventually the elbow issue that interrupted his season. This spring he figured he’d try the opposite approach, and even joked that he might attempt to steal a few bases this season.